To be actively involved in the development and roll-out of a group-wide bottom-up stress testing capability leveraging of IFRS9 and BCBS239 programs. To assist in the continued development and maintenance of the top-down stress testing model and process. Insightful reporting from output of the top-down model in terms of stress and scenario testing on a quarterly basis to the Group Asset and Liability and Executive Risk Committee (ALCO), CEO report, and Group Risk and Capital Management Committee (GRCMC). 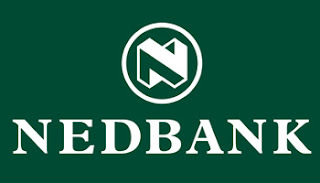 Perform stress and scenario testing annually during the 3 year planning process for Nedbank. Consider additional relevant, value-add and topical stress testing scenarios during the year to include in ALCO reporting and finally in the annual ICAAP. Perform benchmarking against international stress testing exercises as and when they become public, extracting value adding insights. Perform “deep dives” into specific portfolios to identify value creating/value destroying segments. Stay abreast of best practice/international developments in stress and scenario testing, analytics and reporting. Maintain strong collaboration and teamwork within BSM, Group Risk, Group Finance, clusters and business units. Developing new bottom-up stress testing methodologies in line with BCBS239 principles. Development of new stress testing methodologies. Running the model quarterly and on an ad-hoc bases. Reporting model results to relevant risk committees.